Did the original Greek scriptures use upper and lower case letters, in particular for “Holy Ghost”? Most English translations captialize "Holy Ghost". The original Greek capitalized it too. The original Greek capitalized proper nouns, but not these. The original Greek didn't capitalize proper nouns. The last two would imply that the English capitalization is due to the Trinitarian beliefs of the translators. Added clarification: By "capitalization" I don't necessarily mean literal capital letters, but any equivalent textual convention that identifies proper nouns (e.g. "John Baker's father was a baker." would be ambiguous without the B/b distinction). Actually none of the above. The original Greek manuscripts were written in all capital letters. The minuscule script (which evolved into the Greek lowercase) was developed only during the 9th-10th centuries. Capitalising "Holy Ghost" does not imply Trinitarian theology, all it says is that the translators think it is a proper noun. There are many theological positions which would identify "Holy Ghost/Spirit" as a proper noun without accepting Nicene or Chalcedonian Trinitarian theology, such as gnosticism, modalism, Arianism, Mormonism, and many more. The earliest Greek manuscripts up to at least the 6th century use all capital letters and were known as "uncial" or "majuscule" manuscripts. However, the 6th century saw the first signs of the early development of miniscule script that was fully developed by about the 9th century. It is only in this later miniscule manuscripts that there is any distinction between capital and lower case letters. Between the 6th and 9th centuries, manuscripts were produced in both forms in different places. For the sacred proper names like "God", "Jesus", "Messiah", "Spirit", "Lord", "Father" and a few others, there was a practice dating from the very earliest manuscripts of the second century a system of abbreviation showing that the words represented sacred proper names. Here are a few. The abbreviation was highlighted by an overbar drawn atop the letters (not reproduced below). These were known as "nomina sacra". Thus, if we follow the earliest manuscripts (at a time before the formal doctrine of Trinitarianism/Arianism/Modalism/etc even developed) we see that the word "Sprit" in numerous places was regarded as sacred. In modern translations since about 1960, capitalisation of "Holy Spirit" is more restrained than in the earliest manuscripts. Not the answer you're looking for? 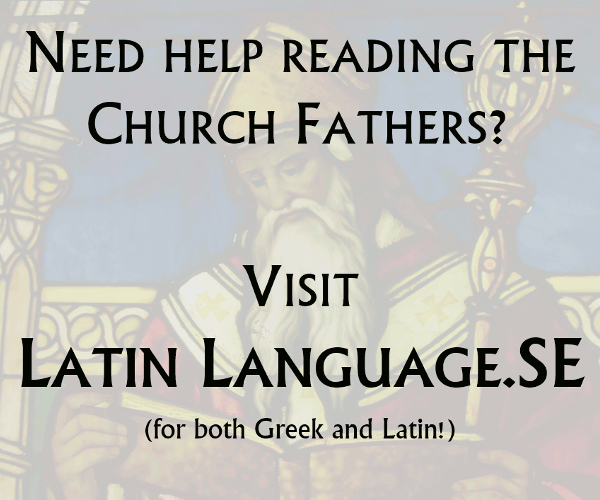 Browse other questions tagged bible-translation greek or ask your own question. What version of the bible do Greek speaking Christians use?